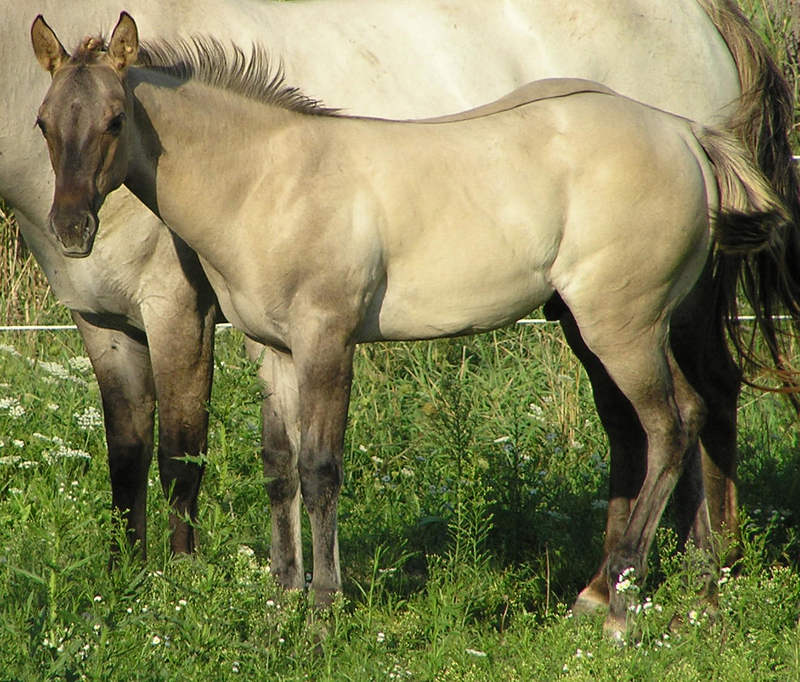 Yes, she really is buckskin. Sire is a perlino. 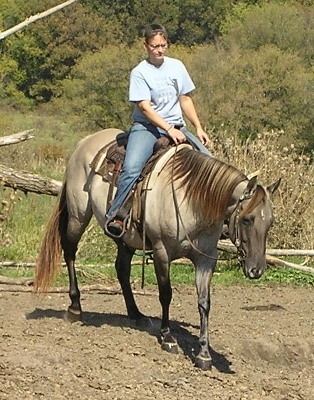 She has 7 IBHA Western Pleasure Points. Very nicely broke...has all the buttons including crosscantering. 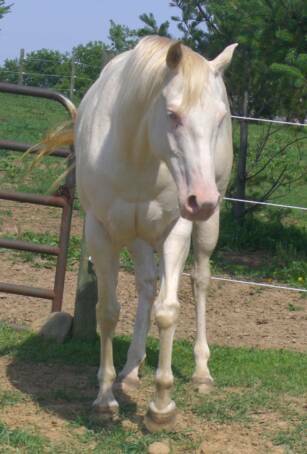 Very sweet, loves kids, would make a wonderful youth horse. Slight soreness issues with right shoulder, but Butes right out of it. Has been on trails, too. 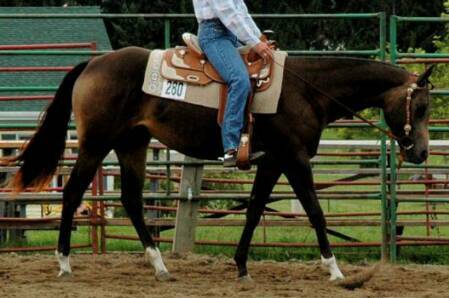 $4500.00 may trade for hay or well broke shorter mare. 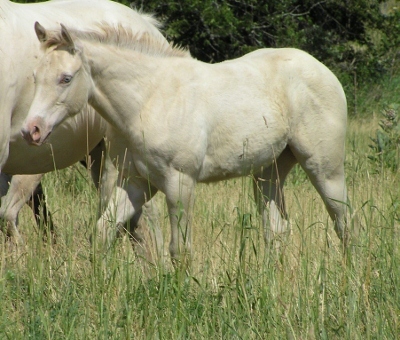 Champagne, Cream, and Dun all in the same horse. She is gorgeous, well built, sweet as pie and we can do anything with her. Both parents are N/N for HERDA, GBED, PSSM1. Very nice Grullo colt. Doesn't brown up (dam is to the right). Homozygous dun factor, so will throw it 100% of the time. Big, hip, pretty face.